Mark Ingwer is a business psychologist and the founding partner of Insight Consulting Group, a global marketing and strategy consultancy specializing in consumer and business insights. He has over 25 years experience applying his unique blend of psychology, marketing, and business acumen to helping companies optimize their brand and marketing strategy based on an in-depth understanding of their customers. 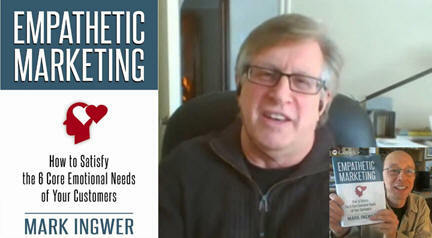 Mark is author of Empathetic Marketing: How to Satisfy the 6 Core Emotional Needs of Your Customers. He writes, "A business that invests in empathy devotes itself to understanding the emotional needs and motivations of its customers, and aligns itself to meet them. Companies have increasingly embraced the role of emotion in selling products and services, but often merely pay lip service to its importance without understanding how to harness it." "In today’s competitive and global marketplace it is becoming increasingly essential for companies and brands to understand why customers buy—or don’t buy—their products and services. Only by understanding the whys can companies grow their business and develop loyal customers. 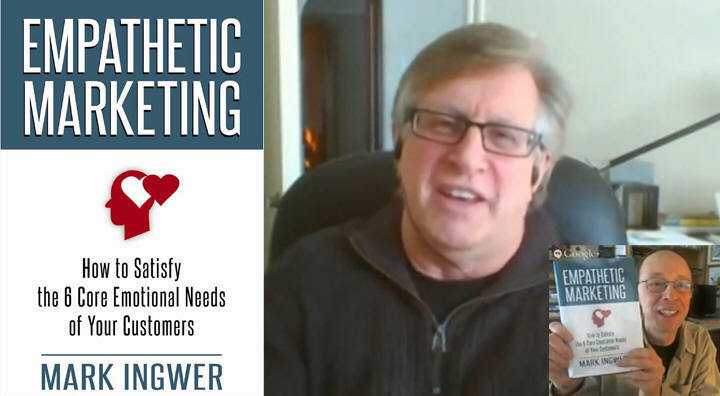 In Empathetic Marketing, Dr. Mark Ingwer presents a groundbreaking approach to understanding consumers’ core emotional needs. This innovative book provides both the psychological theory underlying consumers’ emotional needs, as well as concrete business examples that demonstrate the incredible effectiveness of unleashing the power of deeper needs and emotions for success in the marketplace." "Business has always focused on return on investment (ROI) as the primary metric to calculate success. However, innovations in the neurosciences and developments in social media have revealed that profitability should no longer be relegated to sales figures and profit margins alone. Increasingly, to create sustainable customer relationships, businesses must attend to innovations in psychology, and invest in the emotional needs of their customers. Those making this shift will gain a significant ROE -- return on empathy. A business that invests in empathy devotes itself to understanding the emotional needs and motivations of its customers, and aligns itself to meet them. Companies have increasingly embraced the role of emotion in selling products and services, but often merely pay lip service to its importance without understanding how to harness it." How can your marketing have more empathy? I listen with what psychologists call “the third ear,” a trained lens that helps me see beyond what people say and toward a deeper empathic understanding of their emotional needs — the hidden meaning behind their conscious thoughts. What I do is akin to the finely honed listening skills top executives use to navigate corporate politics or manage tense situations. But, as a business psychologist, I specialize in understanding a diverse, complex group of people – customers.